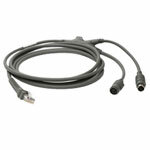 LS 4278, Kit includes: Bluetooth, PoweredUSB and 7 ft. Straight Cable. Color: White Call to purchase. LS 4278, Kit includes: Bluetooth, PoweredUSB and 7 ft. Straight Cable. Color: White Call to purchase. RoHS. LS 4278, USB kit with standard 7 ft. straight cable. Includes radio and charging cradle. Color: white. Please add optional power supply (Part# PWRS-14000-253R) for faster charging. LS 4278, RS-232 kit with 7 ft. straight cable and 110 VAC power supply. Includes radio and charging cradle. Color: white. LS 4278, Keyboard wedge kit with 7 ft. straight PS/2 cable. Includes radio and charging cradle. Color: white. AC line cord (Part# PWRS-14000-253R) not included. 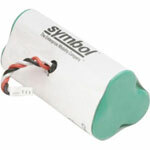 LS 4278, Kit includes: Bluetooth, PoweredUSB and 7 ft. Straight Cable. Color: Black. Call to purchase. LS 4278, USB kit, Black. Includes radio/charging cradle & 7 ft. straight USB cable. Please add optional power supply (Part# PWRS-14000-253R) for faster charging. LS 4278, RS-232 kit with 7 ft. straight cable and 110 VAC power supply. Includes radio and charging cradle. Color: black. LS 4278, Keyboard wedge kit with 7 ft. straight PS/2 cable. Includes radio and charging cradle. Color: black. AC line cord not included, see (Part# PWRS-14000-253R). LS 4278, Scanner only with Bluetooth. Color: black. Scanner Only - Cables and accessories must be purchased separately. These include USB (Part# CBA-U01-S07ZAR), PS/2 (Part# CBA-K01-S07PAR), or RS-232 Serial cables (Part# CBA-R01-S07PAR), Power supply (Part# PWRS-14000-253R) and either Charging/Communications (Part# STB4278-C0007WR) or Charging-only cradles (Part# STB4208-C0007R). LS 4278, Scanner only with Bluetooth. Color: black. Cables and accessories must be purchased separately. Options are USB (Part# CBA-U01-S07ZAR), PS/2 (Part# CBA-K01-S07PAR), or RS-232 Serial cables (Part# CBA-R01-S07PAR), Power supply (Part# PWRS-14000-253R) and either Charging/Communications (Part# STB4278-C0007WR) or Charging-only cradles (Part# STB4208-C0007R). LS 4278, Scanner only with Bluetooth. Color: white. Scanner Only - Cables and accessories must be purchased separately. 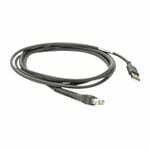 These include USB (Part# CBA-U01-S07ZAR), PS/2 (Part# CBA-K01-S07PAR), or RS-232 Serial cables (Part# CBA-R01-S07PAR), Power supply (Part# PWRS-14000-253R) and either Charging/Communications (Part# STB4278-C0007WR) or Charging-only cradles (Part# STB4208-C0007R). LS 4278, Scanner only with Bluetooth. Color: white. Cables and accessories must be purchased separately. Options are USB (Part# CBA-U01-S07ZAR), PS/2 (Part# CBA-K01-S07PAR), or RS-232 Serial cables (Part# CBA-R01-S07PAR), Power supply (Part# PWRS-14000-253R) and either Charging/Communications (Part# STB4278-C0007WR) or Charging-only cradles (Part# STB4208-C0007R). LS 4278, Synapse kit. Includes 7 ft. straight Synapse cable. Includes radio and charging cradle. Color: white. LS 4278, 468x/9x Port 9 kit with 7 ft. straight cable. Includes radio and charging cradle. Color: white. LS 4278, Synapse kit. Includes 7 ft. straight Synapse cable. Includes radio and charging cradle. Color: black.